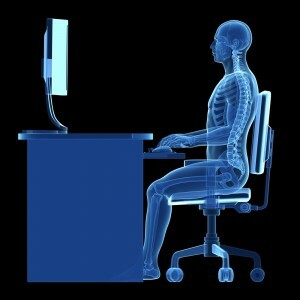 Research shows that ergonomic seating increases comfort and reduces the risk of back pain. A UK-wide survey showed that 32% of people who work in offices experience physical pain at work at least once a week. A further 65% reported back pain as the most common problem. Musculoskeletal disorders (MSDs) such as back pain are one of the biggest causes of sickness absence on any given day and are estimated to cost society and employers around £7.4 billion a year. Claire is a member of ACPOH and has gained a unique knowledge base working within the workforce as she managed a large government contract in London for 8 years. She worked as lead physiotherapist / ergonomist within an Occupational Health Team. She set up an advice programme on their intranet as well as doing induction talks for new starters. She made a big difference to reducing sick leave through muscular skeletal problems.